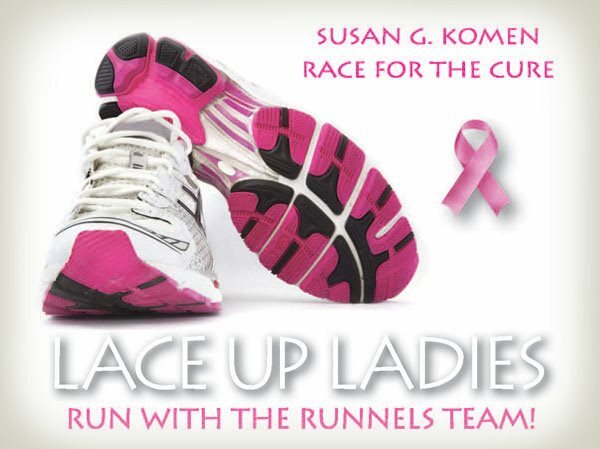 The Runnels Center is inviting to join our team for the Susan G. Komen Race for the Cure in Jackson MS, set for Saturday, April 13. You can help the beautiful women in your lives by going online to register for the run. Those who would like to join the Runnels Team may call our offices at (601) 939-9778 to reserve a T-shirt. We are proud to support the important work of the Susan B. Komen for the Cure organization. Thanks to a grant from its Central Mississippi Affiliate, our foundation’s Operation Bloom has helped provide thousands of free breast cancer screenings to women across Mississippi. The Komen organization needs continuous funding to support such efforts. By the end of 2013, some 2,170 cases of invasive breast cancer will be diagnosed. About 400 people will die from the disease. Through events such as the Race for the Cure, the organization is able to help save lives. The organization’s staff and volunteers are working every minute of every hour of every day to support the search for a cure for breast cancer.